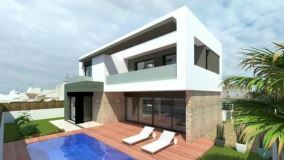 New and resale golf properties for sale in various locations on the Costa Blanca and Costa Cálida, as well as other regions. Campoamor, Corvera, La Serena, Peraleja Golf, Roda Golf, Villamartin, Las Ramblas, La Manga, etc. Properties are featured for various reasons, but mainly because they represent exceptional value for money, are properties of special interest, or are in a class of their own.